"ALL-IN Pricing" for these brand new townhomes in Apex will start in the $300's and features low maintenance townhomes that are perfectly suited for the homeowner looking for a great stylish home in one of the most desirable areas in the United States.Villages of Apex is nestled in the heart of Apex, NC! Literally right around the corner from world renowned Research Triangle Park. Villages of Apex in the middle of downtown Apex. 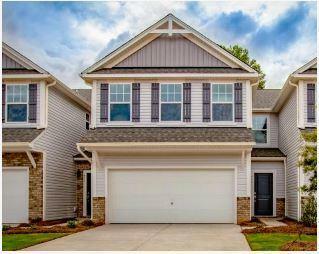 just off I-40 in Raleigh-Durham and features brand new designs of townhomes that are available for the first time at this location.